Hard to believe it, but it’s true. My granddaughter Indy will be 4 years old on Monday. Her mum organised a cat theme birthday party, and all the food and activities had something to do with cats. 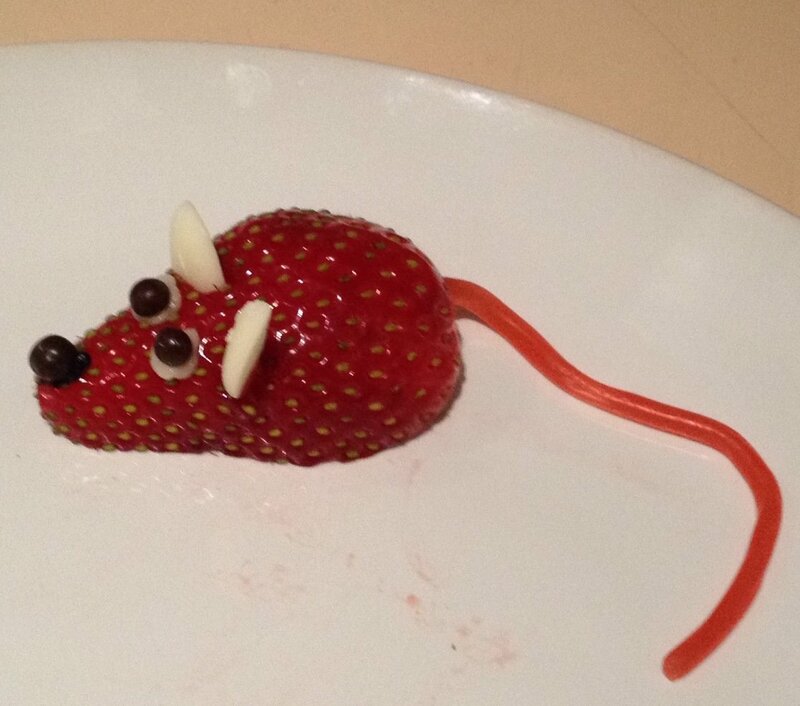 My contribution was strawberry mice, recipe below. Each child was presented with a cat collar (made using a ribbon and velcro, with bell and name tag) when they arrived. The food included cat shaped cookies, little individual jellies topped by a fish, cheese platters, cat shaped cookies and strawberry mice. Cut each strawberry in half, lengthwise. Make two slits for the ears and push in half a white chocolate button or almond flake. Using tubes of cake decorating icing for writing, make two dots for the eyes, and one for the nose. Press the little balls into the blobs. Poke a hole in the other end with a cocktail stick, and push in the tail. Arrange with triangles of cheese. Lola had a good look at them. Bad girl, she’s not supposed to jump up to the table. Sounds like a fun party! Did you find your name in the kitty litter box? Lovely Lola being a good girl. These are so very cute! 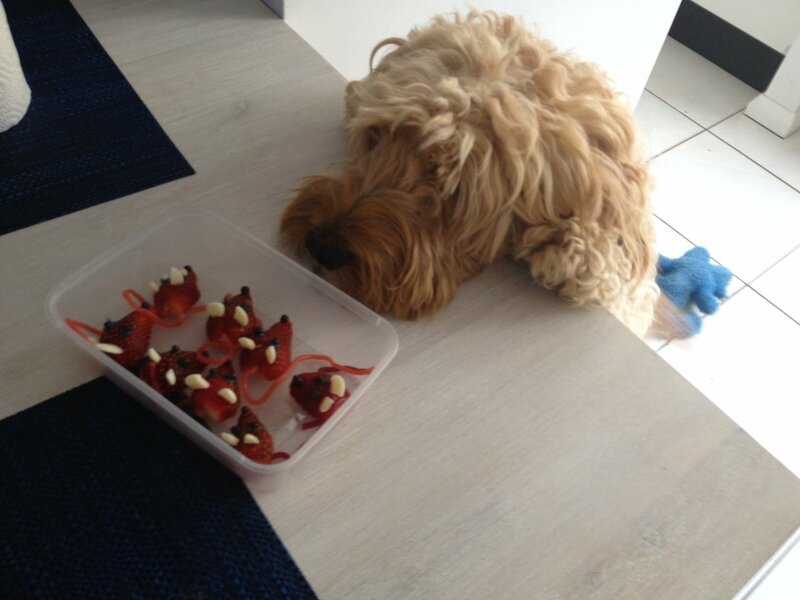 My day job is a nanny, the kids will love it to make these, thanks for the awesome strawberry mice ideas!